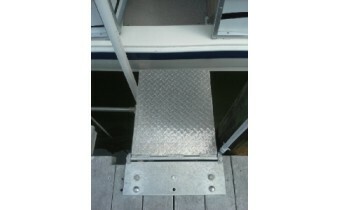 ALUMINUM 2 X 2 HINGED PLATFORM FOR DOCK OR SEAWALL MOUNT. 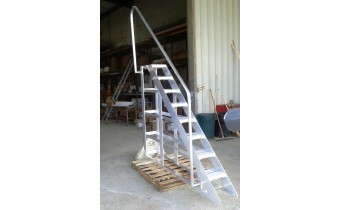 CUSTOM SIZES AVAILABLE UPON REQUEST..
6 foot Aluminum Work Access Platform. 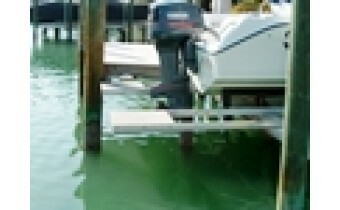 This unit will allow easy access to the stern of your boat. 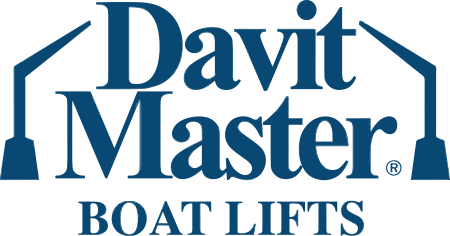 It..
8 foot Aluminum Work Access Platform. 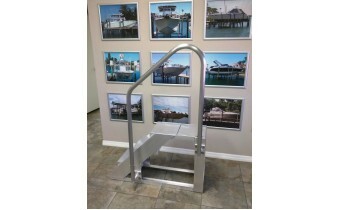 This unit will allow easy access to the stern of your boat. 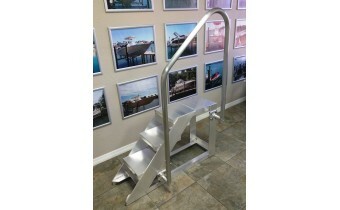 It..
Aluminum Steps 12" x 24"
Aluminum Steps 12" X 48"